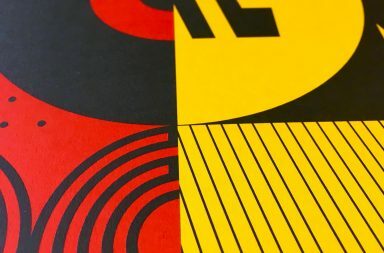 Introducing is a feature looking at a handpicked selection of magazines, fanzines, websites, blogs, teams, projects and individuals who produce great quality content on football and football culture. 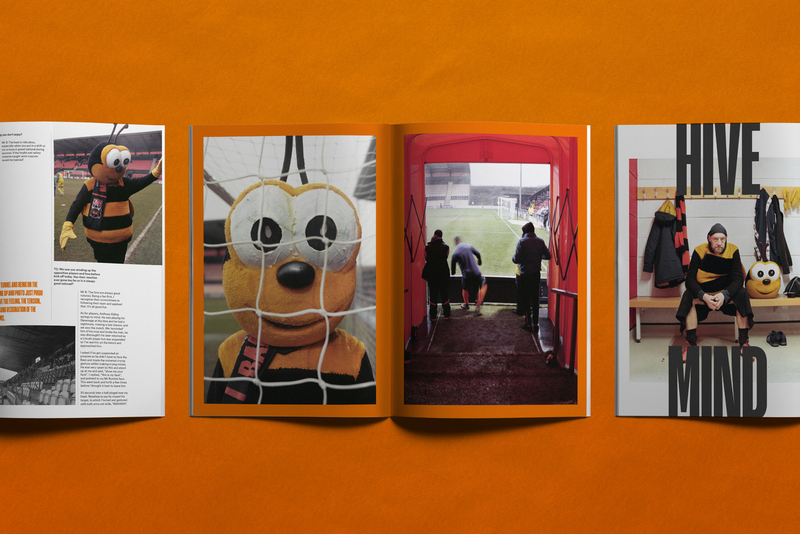 We speak to Elliott Sheaf who founded the magazine (and subsequent podcast) with Adam Sharratt last year about the project and it’s alternative look at the world of association football. To someone who hasn’t heard of it, how would you describe Top Corner in one sentence? 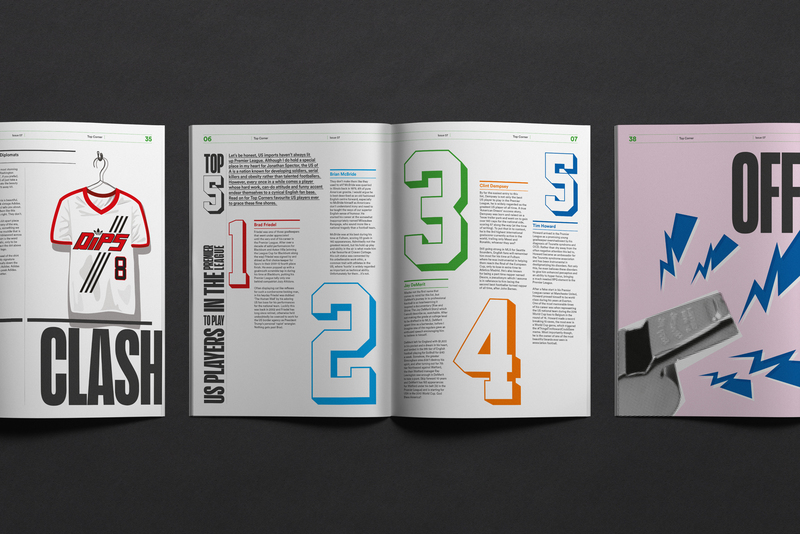 Elliott Sheaf: Top Corner is an irreverent quarterly football magazine which covers popular football topics in an alternative and surreal way, whilst also unearthing thought-provoking stories from the depths of the game. And we have a podcast. Sorry, two sentences. ES: The idea came from the co-founder and creative director Adam Sharratt. We had thrown around the idea of starting a football magazine for a while, but I had always assumed it was all just talk down the Bow Bells (the local) after a few beers. One day he showed me his logo idea and the name Top Corner and I realised he was serious. Within the first few months, we had our first tabloid-style newspaper/zine finished without really knowing what we were doing. That was almost one year ago to the day and we’re still just making it up as we go. 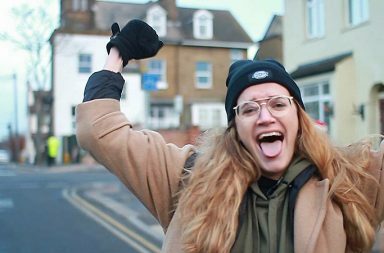 ES: I come from a family of West Ham fans and have two older brothers, so football has been a part of my life pretty much from birth. One moment that I remember, where football became something bigger than a game for me, was with the 1994 World Cup in the US. I would have only been five, but I have a vivid memory of the Grandstand highlights intro, which had a montage of goals from previous World Cups to the theme ‘America’ from West Side Story. That was the most exciting and exotic thing to me at that age, especially growing up in a tiny village in the middle of nowhere. I think it says a lot about me and my writing that my earliest football memory is soundtracked by a Broadway musical. ES: I think the visual elements are the USP of Top Corner. We have a lot of infographic and data visualisation that we try to show in a bold and exciting way, which is like nothing I have seen elsewhere. That style and tone is something we try to keep consistent throughout each issue too, with all the constituent parts being informative, funny and interesting. I always think of it like music, we want to create an album rather than a collection of singles, so it all has to flow throughout. Given some more time, I could probably think of an even more pretentious way to explain it. I’ll put some funny bits in later in the interview I promise. Out of everything you have done through Top Corner so far, what are you most proud of/what has been your most enjoyable moment? ES: We’ve worked with so many people in a short amount of time, I’d say having a platform for our collaborators is something I’m most proud of. 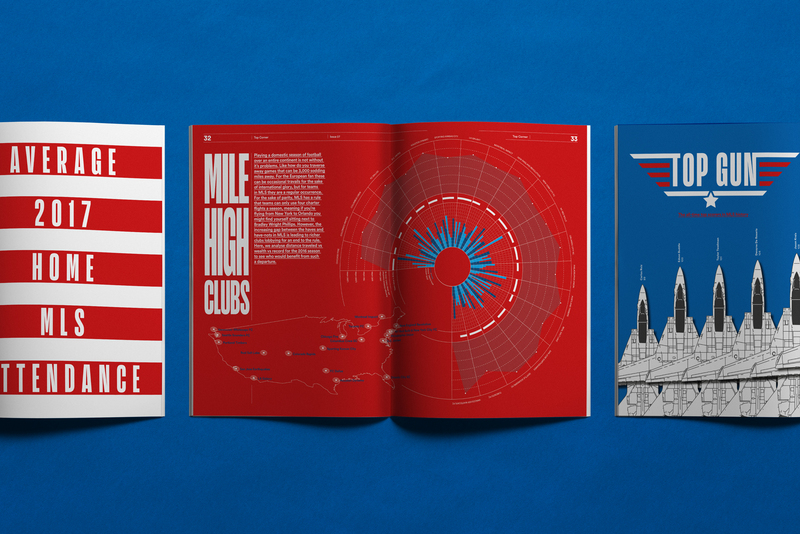 We all get such a buzz from seeing our work in print, so I love being a part of making that a reality for all of us. One specific moment though is a message I received a while ago from one of our podcast listeners. He’s from Singapore and said he enjoyed listening to our podcast whilst going for exercise walks. I loved that message so much. The thought of someone on the other side of the world doing such a normal thing whilst listening to us idiots talking about Dwight Gayle’s hair, that feels great. What next for Top Corner? ES: We have just finished our latest issue which was out in March. 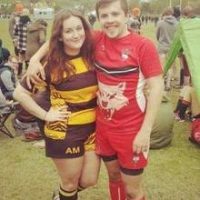 It’s the first in our new quarterly format and USA themed, so plenty of US related content and some domestic pieces thrown in too. Other than that, we’re continuing with our weekly podcast on Premier League football and looking to start creating some video content too. Like a lot of us working in football at the moment, our sights are firmly on the World Cup and what we can create in relation to that. It’s going to be a busy summer! ES: I imagine everyone says the same, but there really is too many to mention. 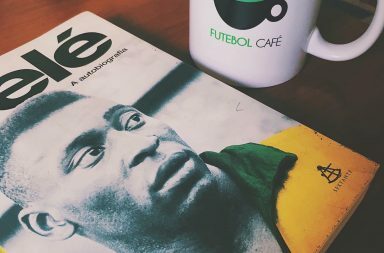 I would say Caricom is probably the best writing out there in the indie football mag scene, I was absolutely blown away by how well written and vital it feels. It looks beautiful too. I love the minimalist style of Glory and its photography is incredible. The format of visiting a different country or region each issue is very cool. I wish I had that idea. I’m a big podcast listener, so have to mention By Association. They are really compelling football stories and put together so well, often on important topics such as mental health or homophobia. I love that the episodes aren’t time specific, so the whole back catalogue is always relevant. ES: Just start. Starting is the hardest part. You should then tell all of your closest friends what you’re working on so if you fail you’ll look like an idiot. That’s 80% of the reason I keep going, fear of being caught out as a fraud. I think you also have to come to terms with the fact that what you create will never be perfect, just get it as close as possible and then make sure the next thing you do is better. If you aim for perfection you’ll never get anything done. If someone wanted to collaborate with you at Top Corner, how would you suggest they went about it? 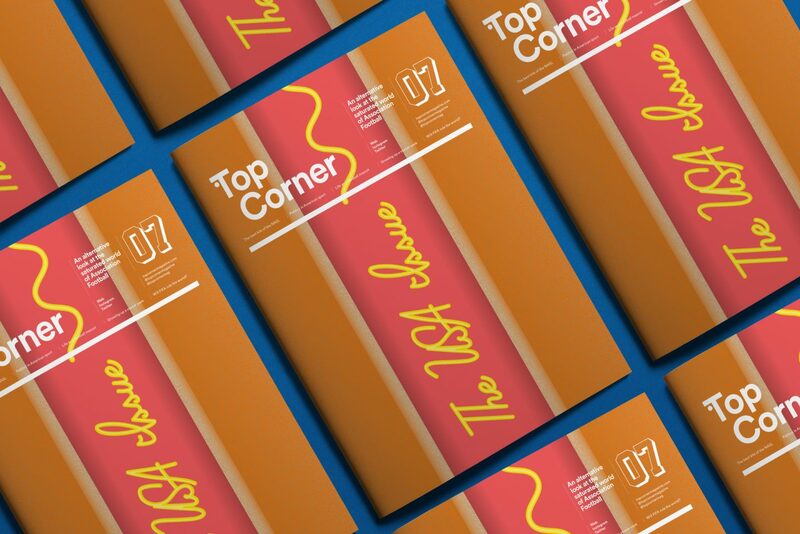 ES: Email us at topcornermagazine@gmail.com. We are always looking for collaborators for the magazine, whether its writers, illustrators or photographers. I try to make a point of replying to everyone who contacts us, even if we don’t have something instantly available to work on because I still find it insane that anyone takes the time to find and contact us. So if anyone reading this is interested, definitely get in touch. Badge of the Week: Scunthorpe United F.C.